By Butterfly Samurai November 22, 2013 day of the doctor Doctor Who doctor who 50th dr who girl gamer guide nerdybutflirty what is dr who whoniverse why do people love doctor who? Interested in learning about Doctor Who? We’ve got you covered. Doctor Who can be intimidating. A British television show with a massive global fandom, Doctor Who has spawned television specials, podcasts, comic books, novels, toys, and clothing. Doctor Who is so huge that there are entire conventions dedicated to it, such as Gallifrey One in Los Angeles, California, and Time Lord Fest in Tampa, Florida. Also, Doctor Who has been around for 50 years. Few television shows have been around for that amount of time. First airing in 1963, Doctor Who was taken off the air, only to be brought back to form new legions of fans and appease older fans. The conceit of the show made it easy for a revival, and now it’s a phenomenon. The 50th Anniversary special airs this Saturday. Special screenings are scheduled to take place in 13 cities around the United States, and it will also be shown in many more theatres on the following Monday. There’s still room for more fans aboard this TARDIS, so here’s a quick start guide to the world of Doctor Who: the who, what, when, where, and why. Doctor Who? Many people inside and outside of the show ask this question. Who is this mysterious man? He’s simply known as The Doctor. His true name is a secret. The Doctor is an alien from the planet Gallifrey, which is home to the Time Lord, a humanoid alien civilization. Eccentric with a strong sense of justice, the Doctor travels through time and space aboard his spaceship, the TARDIS (which stands for Time and Relative Dimensions in Space). When The Doctor is about to die, he has the ability to regenerate an entirely new body. 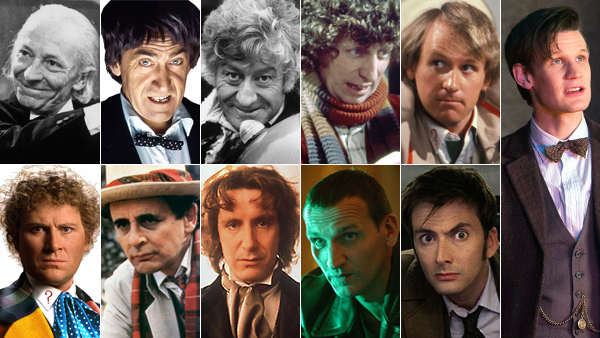 All of those dapper gentlemen throughout the years who have born the mantle of Doctor are all the same character. So, the First Doctor (played by William Hartnell) is the same person as the more recent Eleventh Doctor (played by Matt Smith). Another “Who” would be the companions who accompany The Doctor. Throughout his history, The Doctor has shared many wondrous adventures aboard the TARDIS with other people, normally humans. This has put The Doctor in several more roles, ranging from grandfather, to friend, to romantic interest, and even to marriage counselor. It’s been said that The Doctor should never travel alone since the loneliness seems to consume him negatively. One of the Tenth Doctor’s companions, Donna Noble, told him not to travel alone, “…because I think you need someone to stop you.” Several companions have gotten spin off series of their own, such as Sarah Jane (The Sarah Jane Adventures) and Captain Jack Harkness (Torchwood). Obviously, The Doctor needs opposition. There are several enemies he faces throughout his travels. 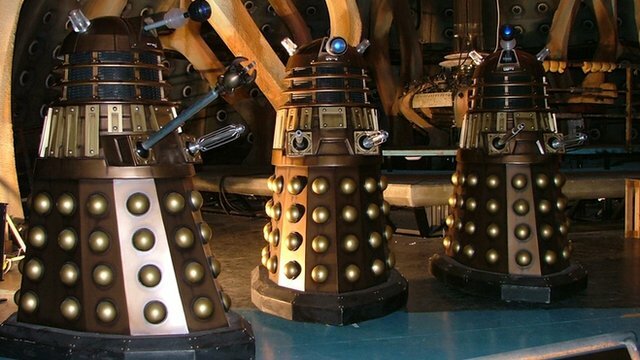 The oldest villains, who appear frequently in the show, are mutated aliens called the Daleks. Housed in a tank-like shell, the Daleks dislike all non-Dalek species, aiming to exterminate them. Another popular enemy of fans are the Weeping Angels. This ancient race of aliens has to be looked at and observed so that they can’t attack. When they’re not being watched, they move stealthily to send their victims back in time to create time energy to feed on. What is Doctor Who about? Well, everything. The basic plot is about The Doctor, his expansive and extensive knowledge relevant to averting crises (although he doesn’t mess with fixed points in time, such as the eruption of Mount Vesuvius in Pompeii), and his exploration of the universe. In the classic Who episodes, it’s revealed that the Doctor actually stole the TARDIS, and is unfamiliar with its controls. As mentioned above, the Doctor has traveled with up to three companions. The TARDIS can travel to any time, but it’s a very unreliable machine. Sometimes, they end up in the right place at the wrong time. It always seems like the TARDIS knows exactly when to drop The Doctor and his companions off when they’re needed most. That being said, The Doctor has traveled to the beginning of time and all the way to the end of the Sun’s life cycle. He’s also witnessed the Big Bang and traveled 200,000 years into the future. He’s seen the Aztecs, all of the World Wars, and more. 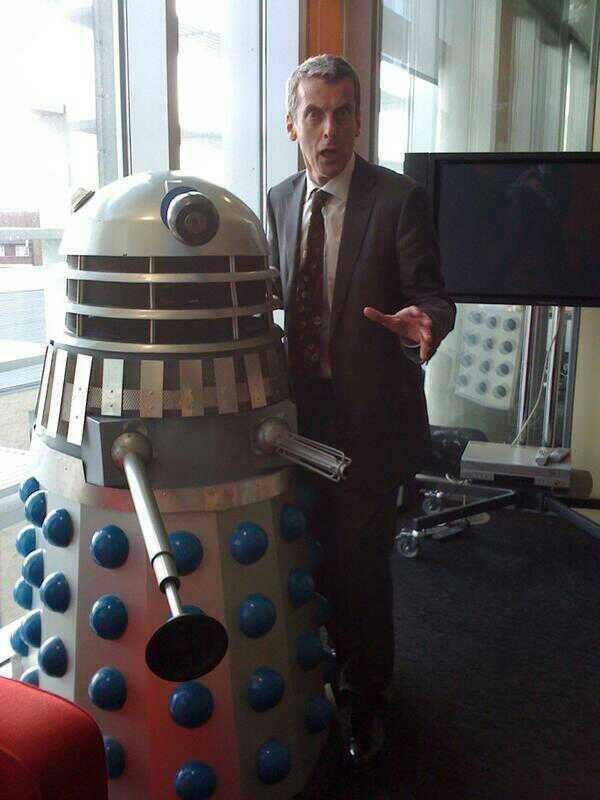 He’s made friends with some of history’s greatest figures and made enemies with people from the future. He’s watched his companions get sent back in time, only to see their names pop up on grave stones in the present. Obviously, the concept of time is huge in Doctor Who. The show really holds no bars when showcasing different time periods, which is one of the magical parts about the show. Seeing what time period The Doctor ends up in next is always exciting. Everywhere. The Doctor can go anywhere in time and space thanks to the TARDIS. For example, the Doctor can go to New York City (as he has several times). Not only can he go there once in the present, he can go to New York City in its past and its future. Locations are very important in Doctor Who. Often, the locale is as much of a character as the human cast – especially alien planets or vast spaceships. 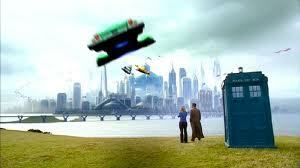 “Where” is also the TARDIS itself, a major component of the show. With a malfunctioning chameleon circuit, this particular TARDIS is stuck in the shape of a blue 1960s-style London police box. The TARDIS being bigger on the inside than on the outside is a common observation of all who come aboard the ship. The console room is the major focal point of the ship. It’s been changed throughout the years, but has maintained a general appearance, including a circular control panel in the center. There are many unknown rooms and corridors inside the TARDIS, although many allusions have been dropped in dialogue of the vast amounts of different amenities the ship contains, including a swimming pool, library, toy room, greenhouse, etc. Old console rooms are also housed in the TARDIS. In the most recent season, an entire episode was devoted to exploring the inside of the TARDIS (“Journey to the Center of the TARDIS”). The 12th Doctor: Peter Capaldi! Why is this show awesome? That’s the question that should be answered. Doctor Who will capture everyone differently or, perhaps, not at all. It has survived for 50 years, meaning there’s substance to this show. The regeneration conceit has certainly kept it going, but the reason this show is awesome is because of all that it encompasses. There’s something for everyone. The overall genre is science fiction, but Doctor Who has action. It has horror. It has drama. There’s wonderful dialogue, acting, and well-thought-out story arcs. When that familiar theme song plays, or you hear the sound of a landing TARDIS, you know you’re in for a thrilling adventure. 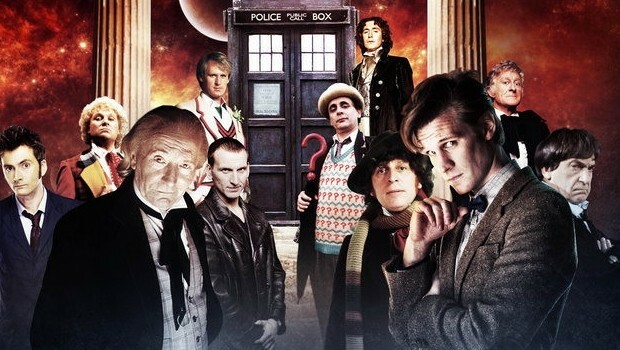 Happy 50th Anniversary, Doctor Who. 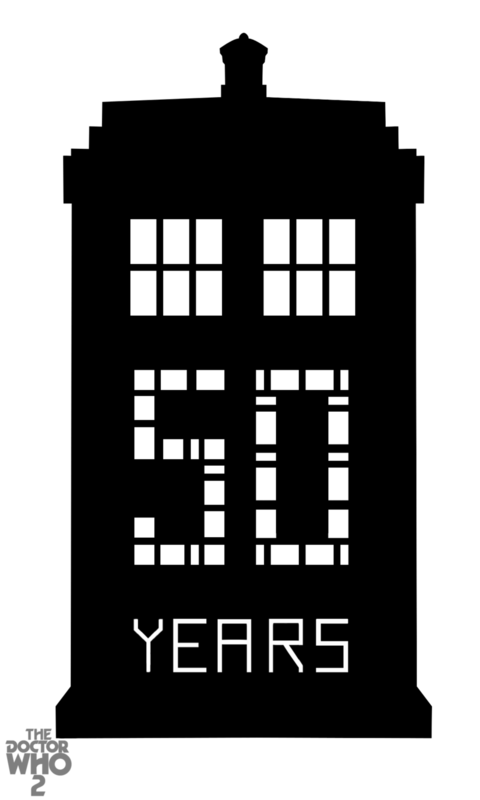 Here’s to 50 more years!